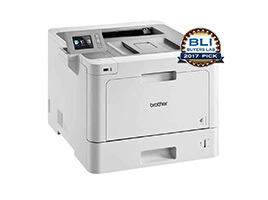 Brother’s HL-L9310CDW has won the BLI’s Summer 2017 Pick Award as an outstanding colour printer for SMB’s and stated that ‘Brother provides brilliant colour output and tremendous value’. BLI’s key indicators for the HL-L9310CDW’s win was the excellent value for money, exceptional colour output, the easy to use colour touchscreen and excellent security features. Who has the cheapest printer ink cartridges?